Buying or leasing a new car can be a source of worry for many people. How do you know you’re getting a good deal? Will the monthly payments weigh too heavily on your budget? What if you have a spotty credit history? These are all valid concerns, but ones that can be put to rest when you shop for your new vehicle at Limbaugh Toyota. Our Birmingham, AL, dealership is not just out to sell you a car, but to make sure that you get the right car at the right price. So when you come in and meet with one of our friendly team members, they will help you work within your budget to get just the car you want at the price you need. How do we do this? It’s a combination of factors that starts with our already-low prices and then factors in a wide array of special offers and discounts. We combine factory incentives with dealer specials, financing plans with great terms, and lease offers that can lower your monthly payments to easily fit into your budget. We work with trusted lenders to secure a car loan for you—even if you have had credit challenges in the past. Our product specialists and financing gurus know all the many ways to save you money on your new Toyota lease or purchase, and they’re eager to share the secrets with you! With their guidance, you could be driving home in a shiny new Camry sedan, Highlander SUV, or Tacoma truck before you know it—and at a price you’ll be bursting to brag about. While you’re browsing our impressive online inventory, take a moment to read about our special financing plans, calculate your monthly payments on the models you’re interested in, and apply for financing so you can save even more time when you visit our dealership. Our special offers change quickly, as does everything in the automotive industry. So don’t wait when you find one that works for you—contact Limbaugh Toyota today and schedule a test drive so you can take advantage of amazing savings right away. Save Big on a New Car at Limbaugh Toyota! 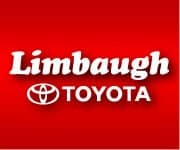 Limbaugh Toyota is the one-stop shop for drivers in Central Alabama. So whether you’re from Hoover, Helena, or Tuscaloosa, you’ll find us a short drive away, at 2200 Avenue T in Birmingham, AL. We are dedicated to providing our customers with a stress-free, enjoyable car shopping experience every time. Once you’ve experienced the impeccable customer service at our family-owned dealership, we think you’ll be a valued customer for life.